Avriel Hillman has been a professional actress since she was a young girl. 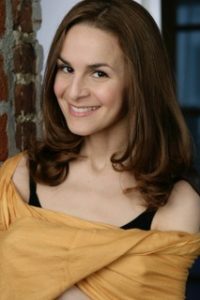 She has a degree in Theater from Brown, and has studied under multiple master teachers including Larry Moss, Michael Howard, Patsy Rosenberg, Warren Robertson, and Ivana Chubbuck (with whom she is certified to teach acting). She also trained in acting and directing at the Stanislavski Art School (affiliated with A.R.T. ), the Lincoln Center Director’s Lab, and various filmmaking programs. She is relatively new to Boston, having lived in NYC, where she continues to develop new work. Avriel is not only an actress, but a director/choreographer, coach, singer, and voice-over artist.